Did you forget to pack a toothbrush? 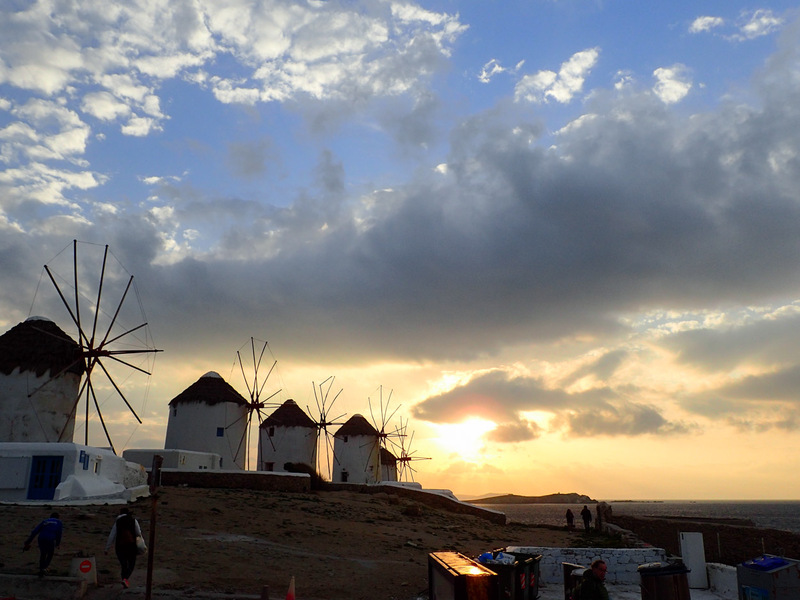 Then your Mykonos experience can begin as soon as you touch down at JMK. Stop off at Flora, the supermarket directly across the road from the airport, on your way into town. An Instagram-ready wall greets you by the front door- pose with cuts-outs of windmills and the pelican. Once you’re inside, you may actually catch yourself dancing around the aisles. Yes, there is a dj. Flora isn’t just supermarket. 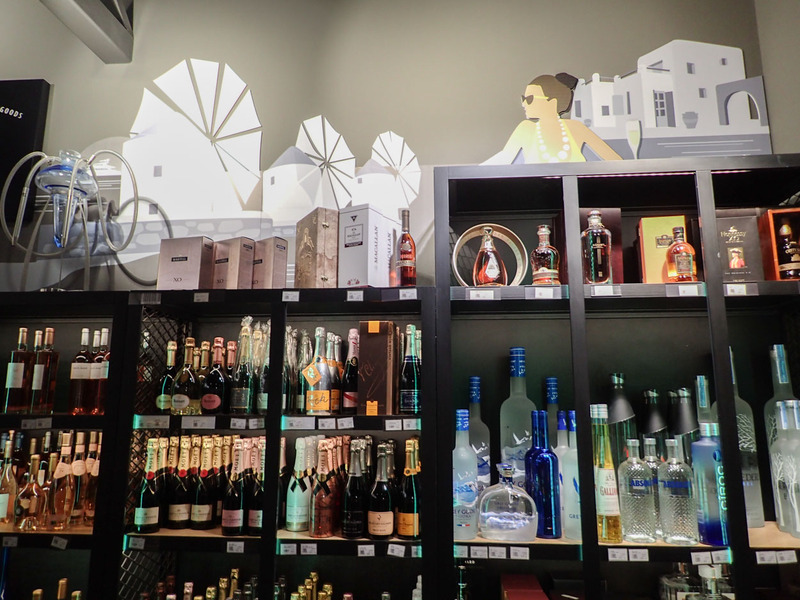 It’s a supermarket with jaw dropping selection of wines and ultra top shelf liquors. 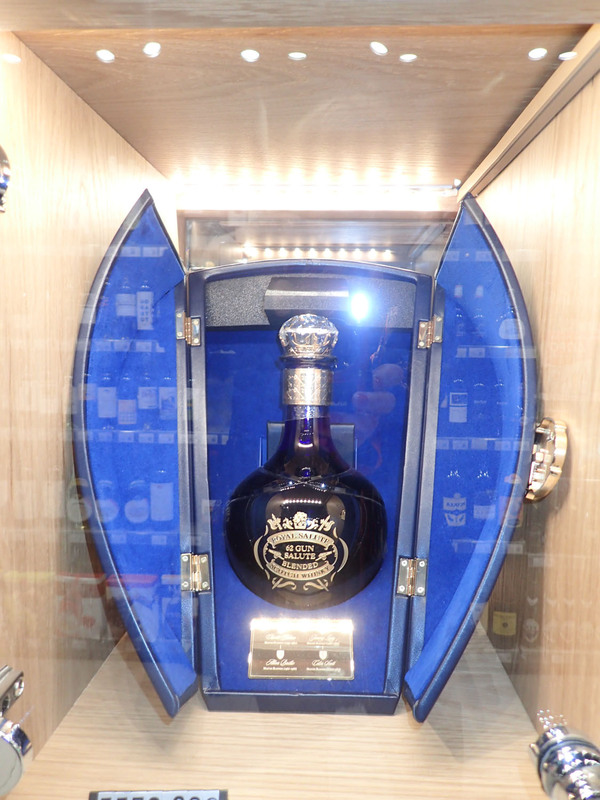 There are bottles here that we thought were just urban legends, gleaming from their glass cases like jewels and nearly as pricey. 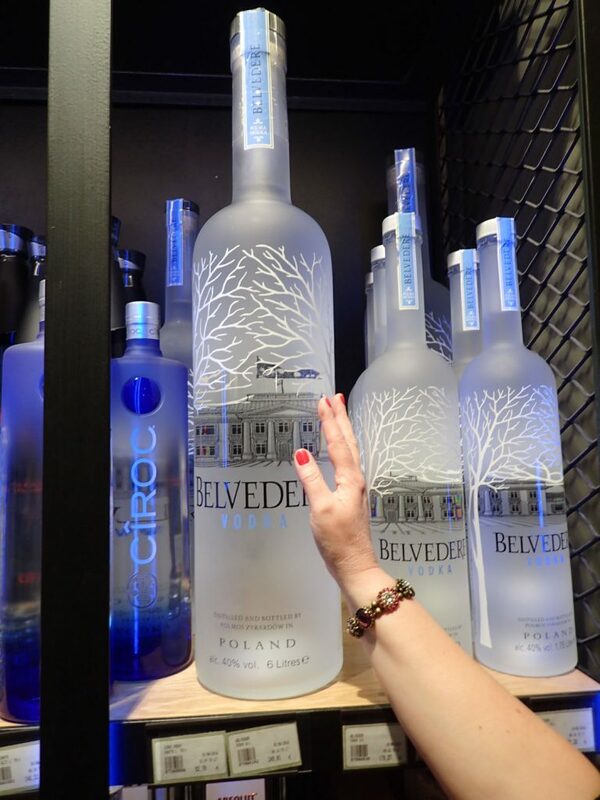 Other serious bottles- like, say, a methusala (that’s a six litre bottle- high end shopping has its own parlance) of Grey Goose vodka, you just heft into your shopping cart yourself. If you’re shopping for a high-end picnic, don’t forget to check out the beers- the selection of beers, with many Greek craft beers, is broad and tempting. 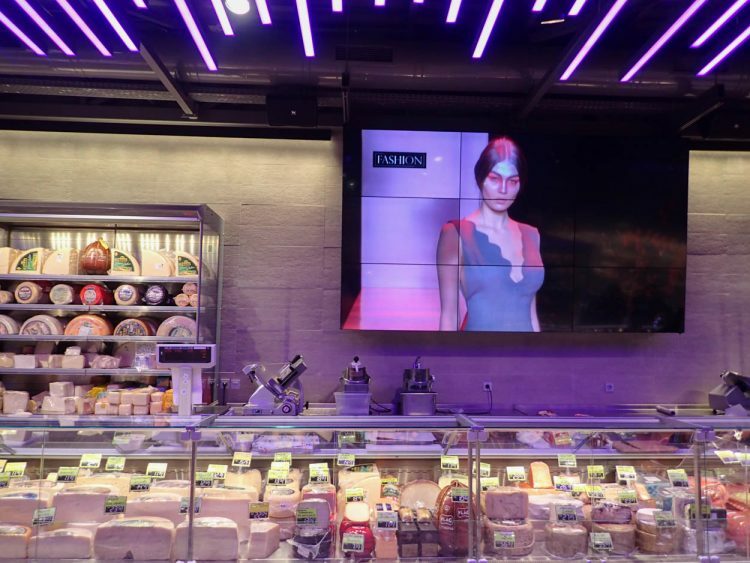 Fashion TV flickers on an enormous screen behind the cheese counter. But it doesn’t distract us from the serious selection. The cheeses are priced just as they would be at any well-stocked supermarket, and there are some excellent values. The counter is serviced by friendly, well informed staff, most of whom have been here for over a decade- Flora is a family kind of place. Tasos Kontaratos, the second generation to run this local family supermarket, is modest when asked how this all came about. “We learn from our customers.” With Mykonos’ most premium produce, a great selection of olive oils and salts, specialties from every corner of the globe and the finest artisanal foods from all over Greece, Flora is the main supplier for the most illustrious chefs in Mykonos (meaning, world-famous chefs). Anything he doesn’t carry, he gets for them via DHL in two days. “Our customers make us better. They tell us about new products, they send us photos, and we go after them. Companies know us and offer us all their new things. We don’t just go with a name; we try everything ourselves. My father has always been a very forward thinking man, thanks perhaps to the 15 years he spent in America. If he wanted to do something, he didn’t think about the cost. Since we are in Mykonos, we are fortunate- we have good customers, and that means we can stock some high end products. Despite stocking some bottles that cost as much as studio apartment, there is nothing prohibitive or even a little bit stuffy about Flora. 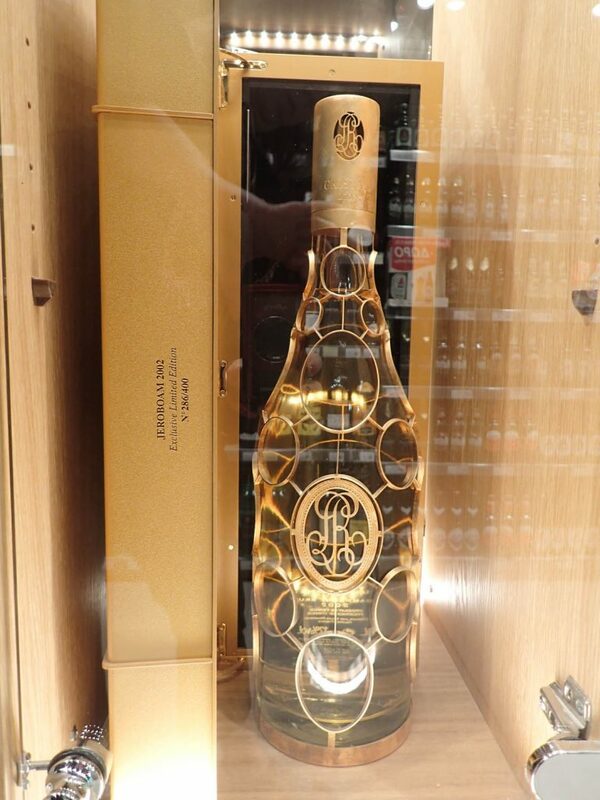 Yes, there are bottles of Champagne that are larger than a toddler. But there are also packs of buy-one-get-one-free shampoo and fresh local eggs. 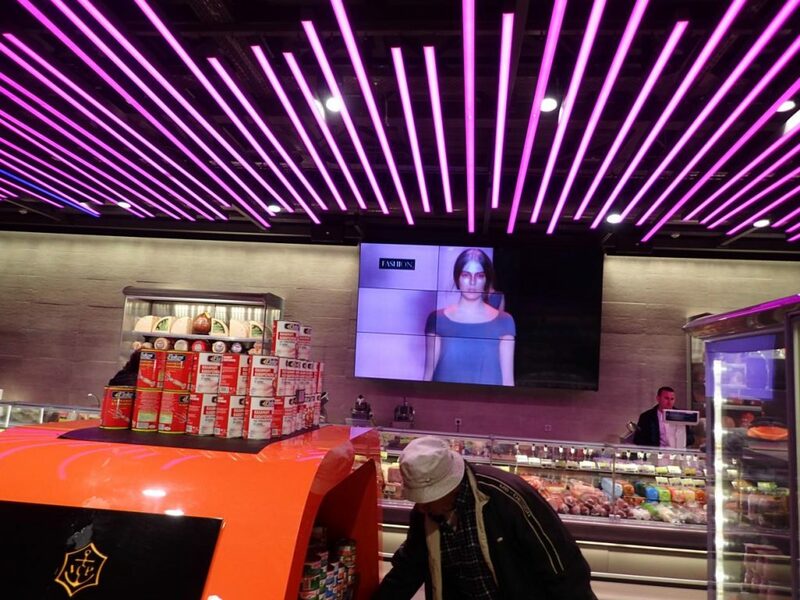 Have you had a deluxe supermarket experience on your travels?